The Stella's Shooting Stars program connects volunteer meal-providers with families receiving in-patient care at Children's Hospital of Wisconsin. 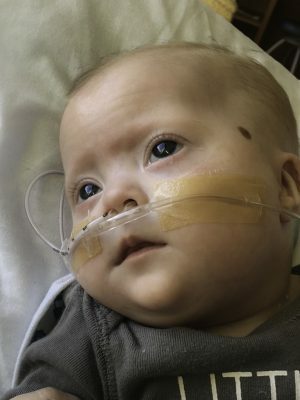 Stella’s Shooting Stars Program is named to honor the memory of Stella Mae Polster, a beautiful baby girl, who, after arriving six weeks early to this world at only 1 pound 14 ounces, passed away after a brave and fierce six-month fight. This program celebrates not only the continued blessings of Stella’s memory but also the heroic battle of her family, Tracy Broekman (mother), Brian Polster (father), Lillian June (sister), and Caeden (brother). Amidst fiercely supporting their angel warrior, this family shared their story on one of the Love + Lift KidsCycle facebook pages, opening themselves up to the Love + Lift community and accepting the resulting outpouring of love and support. It is their bravery, vulnerability, and grace in sharing their battle with the community that paved the road on which they could receive needed support. In this family’s honor, the Stella’s Shooting Stars Program functions as the road between families and community members—matching identified needs with those who seek to fulfill them through acts of kindness and support. This Program simply acts as the conduit, as we have found that our city is filled with people who want to help but often do not know who is in need and what is needed. Families wishing to be matched with a volunteer to schedule a meal delivery at CHW main campus may complete the below application form. Want to volunteer for the program? Great! You can find the “Volunteer” button at the bottom of the page. Please identify which meal(s) you would like provided. Thank you for reaching out! We have received your request and will be in touch with you to confirm your meal arrangements. Thank you for your interest in volunteering for the Love + Lift Stella’s Shooting Stars Program. We greatly appreciate your response and look forward to identifying and matching you with opportunities to contribute to Love + Lift’s ongoing efforts to support and lift families in our community. Amidst the ongoing work and engagement of the Love + Lift Nonprofit and its KidCycle Program, a common need that emerged was supporting families who had children admitted to Children’s Hospital of Wisconsin (CHW). While the stays range from a single day to weeks to months, we found that regardless of length of stay, family lives are significantly disrupted, family members experience much emotional distress, and the family’s focus is taken away from basic needs as well as needed comforts, such as a nutritious home cooked meal, a warm cup of tea or coffee, or even a hug. It is providing outreach to help comfort, love, and lift these families that the Stella’s Shooting Stars Program was created. 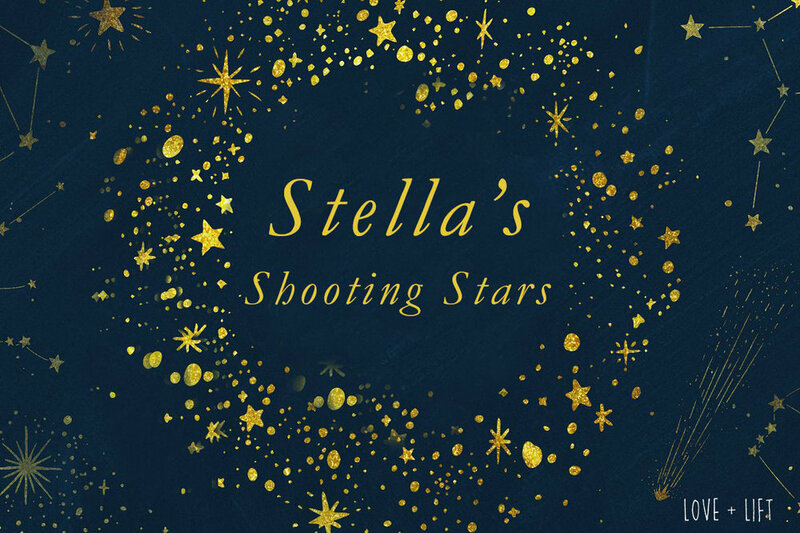 Stella’s Shooting Stars Program was named to honor the memory of Stella Mae Polster, a beautiful baby girl, who, after arriving six weeks early to this world at only 1 pound 14 ounces, passed away after a brave and fierce six-month fight. This program celebrates not only the continued blessings of Stella’s memory but also the heroic battle of her family, Tracy Broekman (mother), Brian Polster (father), Lillian June (sister), and Caeden (brother). Amidst fiercely supporting their angel warrior, this family shared their story on one of the Love + Lift KidsCycle facebook pages, opening themselves up to the Love + Lift community and accepting the resulting outpouring of love and support. It is their bravery, vulnerability, and grace in sharing their battle with the community that paved the road on which they could receive needed support. In this family’s honor, the Stella’s Shooting Stars Program functions as the road between families and community members—matching identified needs with those who seek to fulfill them through acts of kindness and support. This Program simply acts as the conduit, as we have found that our city is filled with people who want to help but often do not know who is in need and what is needed. We thank you for identifying yourself as one such volunteer. Families in need apply through the Love + Lift nonprofit website at www.loveandlift.org. An email with a sign-up link will be sent to all volunteers that will include sign-up options to provide one breakfast, lunch or dinner drop off for a family with an child admitted to Children’s Hospital of Wisconsin. Please note, the request will be time sensitive. At this time, we are offering families three meals in total throughout their stay. Please do not get discouraged if there are no time slots available when you try to sign up. We hope to have more volunteers then time slots so that we can develop a sustainable program with numerous volunteers. Once all slots have been filled, an email will be sent to the volunteers with additional information including date, time, drop-off specifics, and dietary restrictions, if any. Again, thank you for agreeing to participate in Stella’s Shooting Stars, and we will be in touch soon!